Oh geez, I could have sworn I wrote some notes on this flavor.... where oh where did they go.... uggg, can't find them anywhere. I guess we start over then. 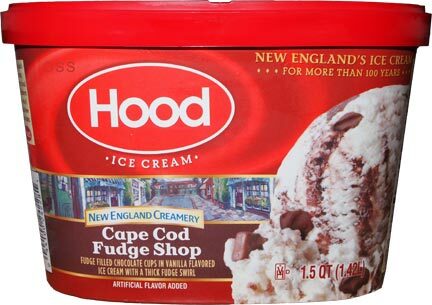 I think I said something about the blog having some pretty good luck with these Hood "New England Creamery" flavors, so it just seemed right to try another one of them during these quiet winter months. That's a great opening shot. I wasn't expecting that kind of swirl! 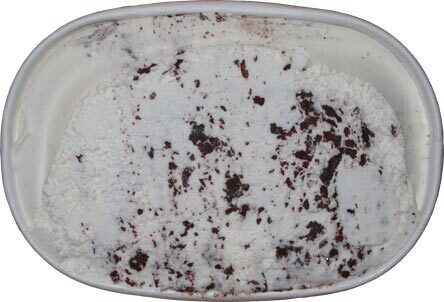 I'm taken back to the glory of Breyers Chocolate Crackle flavor (before they discontinued it.... and before they turned it in to a frozen dairy dessert). I hate to beat around the bush on such a great looking flavor, so let me just jump ahead and say... this one is a let down. 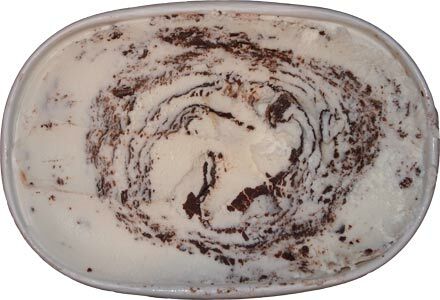 Neither the vanilla base nor the wonderful looking swirl provide enough flavor. Both are fairly bland and just totally disappointing. It's not horrible or gross mind you, it's just that when a flavor looks like this, you want to be blown away and that doesn't happen. Oh I'll eat it, but it tastes like disappointment. Ok, that's mean, it's not that bad, but it just makes me sad, I can't help it. It reminds me of one of those bland cookie dough flavors that has tiny chocolate chips and has like three cookie dough balls in the entire container. Yes there are truffles that try to spice things up, but it's not enough. I need more. MORE MORE MORE. 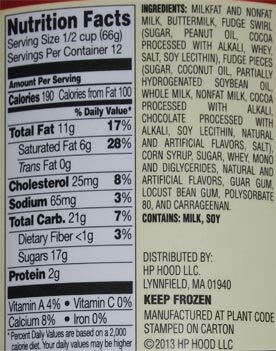 On Second Scoop: Eating this one slower does help, and it's not a bad creation, it could just be so much better. I just get frustrated when flavors come this close to being excellent but just cant sign the deal and make things happen. I know, I'm picky, I can't help it.